In the previous article we outlined a brief summary of what shortlisting is and why it is used. Now we will look at the process itself in more depth, including information on evaluation criteria and the actual scoring system. 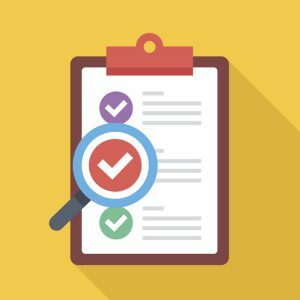 Prior to actually sifting through the sellers and compiling a shortlist- companies should publish their evaluation criteria. These are the essential components by which each seller will be judged. So for example, time at which they can start the work, essential skills, experience, cost, location and any preferred skills. These are just some common examples but each business will have their own specific set of requirements. When applying, any sellers that don’t meet a company’s essential requirements will be automatically rejected. Those that do meet these requirements will become eligible for the shortlist and that’s when more thorough evaluation will take place, such as scoring. When it comes to comparing proposals, buyers will often be faced with a variety of vendors who are all offering similar things. Therefore the ability to pinpoint which proposals are the most suitable is paramount and this can be achieved using a scoring system. Obviously, binary answers such as whether a supplier can begin work before a certain date can only be scored in two different ways, 1 and 0 for yes and no respectively. However, when assessing more subjective requirements, such as essential skills, experience and preferred skills, a more comprehensive points system may be required. For example, when asking sellers to provide proof of experience- the buyer can then judge how far that proof met the requirement- 0/not at all, 1/partially met, 2/met and 3/exceeded expectations. This type of scoring system is a useful technique but it has to be applied in the same way to all sellers that are being assessed, in order to guarantee fairness. Only applicants who meet all of the requirements will be eligible for the shortlist. However, if that number is particularly high then buyers can choose the highest scoring proposals to take forward. It’s at this stage where factors such as preferred requirements can make such a big difference. Many businesses will complete background research in to prospective sellers and this can have an effect on their eventual decision. For example, many buyers will utilise sourcing platforms as a way of finding the best sellers. Furthermore, the sellers own website can provide a wealth of information, including case studies, bios and the way in which they approach business. Reputation is another important factor and one that is often a deal breaker. The cheapest vendors may be tempting but are they reputable and how will their partnership affect the buyer? Reputation can be a difficult quality to gauge but this is where websites and social media presence play such a vital role. The way in which sellers interact with other customers will be indicative of how they interact with a prospective buyer. Finally, we should point out that there is an x-factor element to the shortlisting process. As already mentioned, the competition can be tough and the difference between landing on the shortlist and not can be marginal. In fact, sometimes buyers can simply go with their gut and choose a supplier who they feel they can personally work with. This entry was posted in Observations & Answers, Tips & Resources, Uncategorized on August 1, 2017 by Roland.